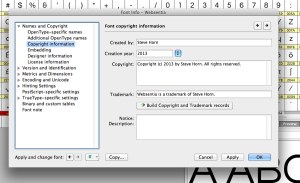 The fonts that we encounter daily are actually software and are usually protected by copyright and include copyright and usage information embedded into the font itself. While we all are accustomed to having a wide range of fonts at our disposal, this doesn’t mean we are free to do anything we want with them. In fact, it is highly likely that anyone reading this page has already exceeded the stated limits of usage of one or more fonts. 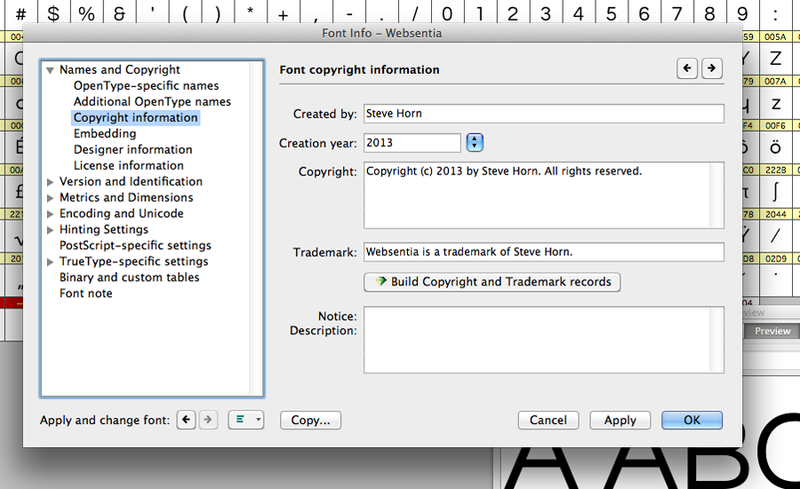 Here is an example of the legal usage stipulations for a free, downloadable font.